Homebase stores across Ireland are set for closure, with Dublin Naas Road, Limerick and Dublin, Fonthill all potential closing soon. The DIY retailer Homebase is set to implement a cost- reduction plan, which will see the potential closure of stores in Limerick, Dublin, Fonthill and Dublin Naas Road. Homebase has been forced, much like other big high-street retailers to enforce a restructuring of their operations throughout the UK and Ireland. This has meant 3 locations throughout the Republic of Ireland could potential face closure. Homebase issued a statement: “Rental costs associated with stores are unsustainable and many stores are loss making.” Homebase refused to comment on whether these would be the last of the stores in Ireland to shut, or the certainty of these being the stores that will definitely close. Underperforming stores throughout the brand will be forced to close their doors in a bid to avoid administration. The troubled retailer’s creditors are due to vote on August, 31 on the cost- reduction plan, which is proposing 42 store closures in the UK and Ireland and up to 1,500 job cuts. Homebase will be entering into a Company Voluntary Arrangement (CVA), meaning that they may avoid insolvency / administration. However, entering into a CVA has been deemed as a risky move for high-street retailers. Damian McGloughlin, chief executive of Homebase, said: “Launching a CVA has been a difficult decision and one that we have not taken lightly. Homebase has been one of the most recognisable retail brands for almost 40 years, but the reality is we need to continue to take decisive action to address the underperformance of the business and deal with the burden of our cost base, as well as to protect thousands of jobs. 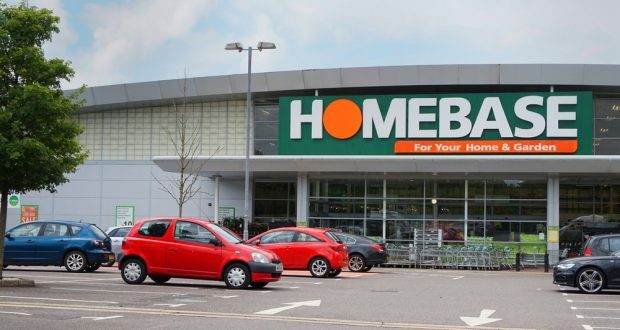 Whilst Homebase has said that they will make every effort to retain and relocate their staff, it would appear that this closure will mean redundancies for the Irish public.